The Interconti is perched right on the harbour’s edge so many of the guest rooms have fantastic views as well as the Harbourside restaurant and Nobu if you can bag a window table. Both restaurants are offering a Chinese New Year Fireworks Dinner Menu. Good is an understatement: exceptional would be more apt when describing the best hotel Chopstix checked into this year: the Taj Lake Palace in Udaipur, India. There are some hotels that have such a stellar reputation that staying at them can be a disappointment. Not so the Lake Palace which actually exceeded our expectations. Today is the 150th anniversary of the Hong Kong and Shanghai Hotel group, owner of The Peninsula hotels around the world. 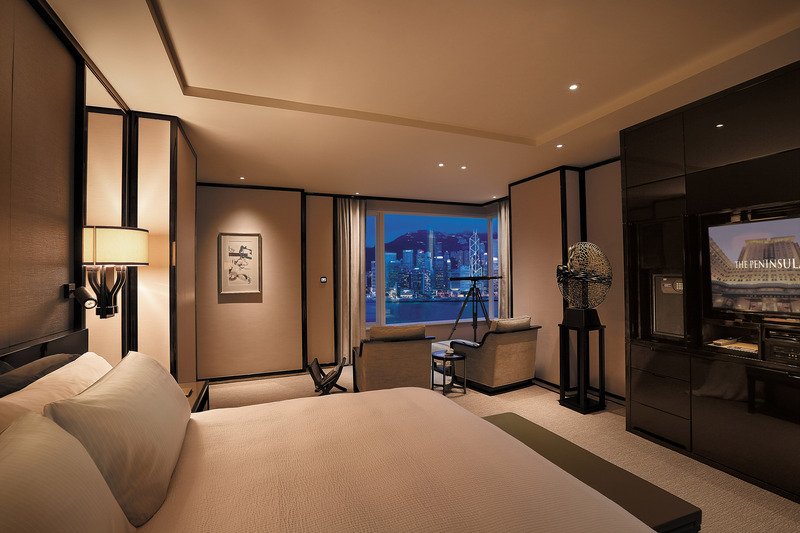 The group’s first hotel was the legendary Peninsula Hong Kong opened in 1928. Like most grande dame’s who look fabulous for their age, she’s had a bit of work having been recently refreshed with HK$450 million worth of minimalist luxe decor and impressive technical wizardry. Each guest room now features sophisticated but reassuringly foolproof technology. Anyone who’s ever been defeated by how to close the blinds/adjust the temperature/turn out that last light in over complicated hotel rooms will rejoice. LED touch screen control panels placed on the wall (in every room if you’re in a suite) allow you to dictate all the aforementioned functions, plus flick on the privacy alert or valet call, as easy as child’s play. If you’re in Hong Kong for October 1st make sure you have a room with a view – of Victoria Harbour for the National Day fireworks. The Interconti is perched right on the harbour’s edge giving it some fantastic views from many of its guests rooms where you feel you’re right on the water and the rooftop Presidential Suite as well as the Lobby Lounge and Harbourside restaurant plus Alain Ducasse’s Spoon and Nobu if you can bag a window table. All the restaurants have special menus planned for October 1st including a six course tasting menu at Alain Ducasse and an eight course omakase menu at Nobu. Given the mystifying exclusion of The Peninsula hotel’s restaurants in the Michelin Guide Hong Kong, it’s good to see The Pen’s Shanghai counterpart recognised. Yi Long Court and Sir Elly’s at The Peninsula Shanghai have been awarded two and one Michelin star respectively in the inaugural Michelin Guide Shanghai, announced today. Chopstix dined at both restaurants earlier this year and can wholeheartedly give them the thumbs up.